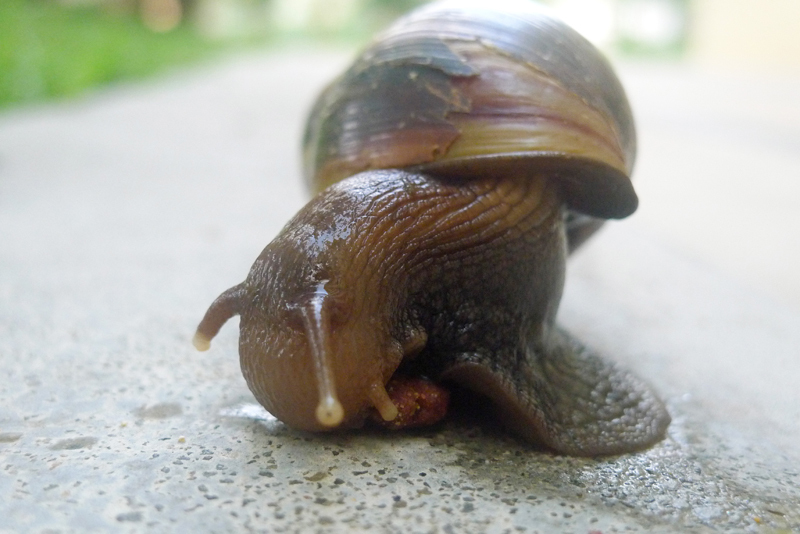 Peiyan.Photography: The snail thinks its a cat? This morning, I saw something odd but interesting. 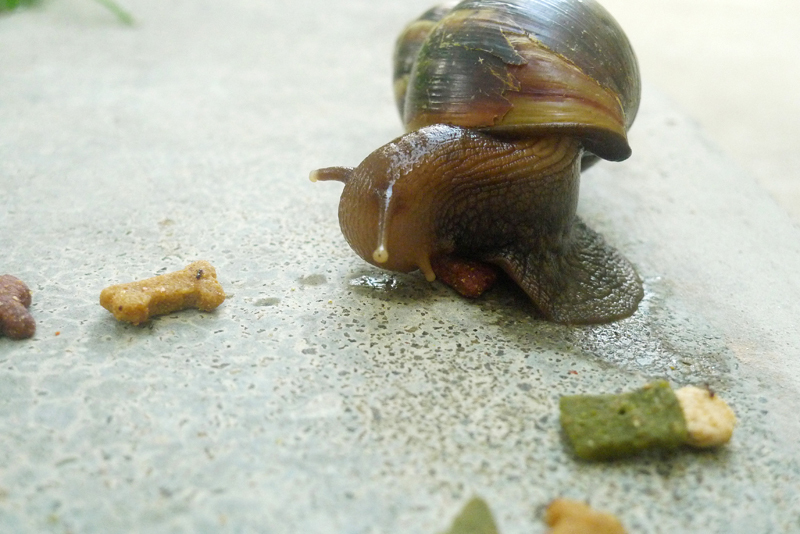 The snail was moving a piece of cat food. Is the snail going to eat it? This is a very interesting sight. That piece of cat food did move. The snail was pushing it and trying to do something to it.